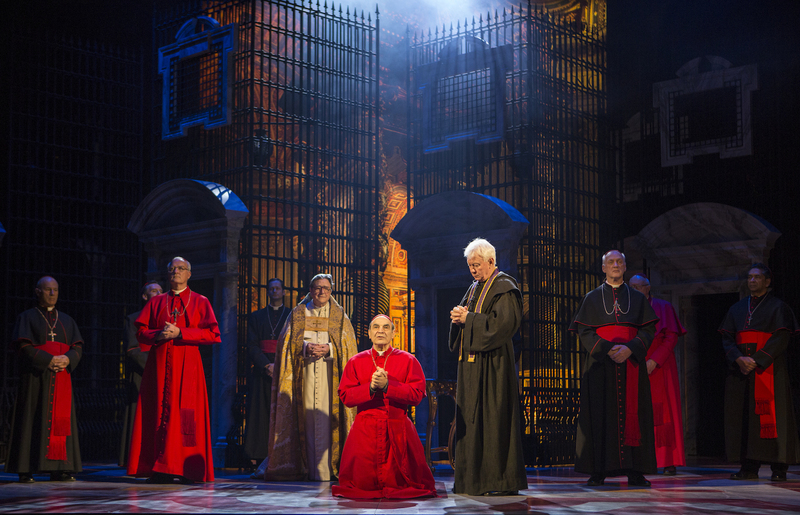 Ingeniously thought-provoking and grandly staged, The Last Confession brings a rare touch of glory to Melbourne’s Comedy Theatre. 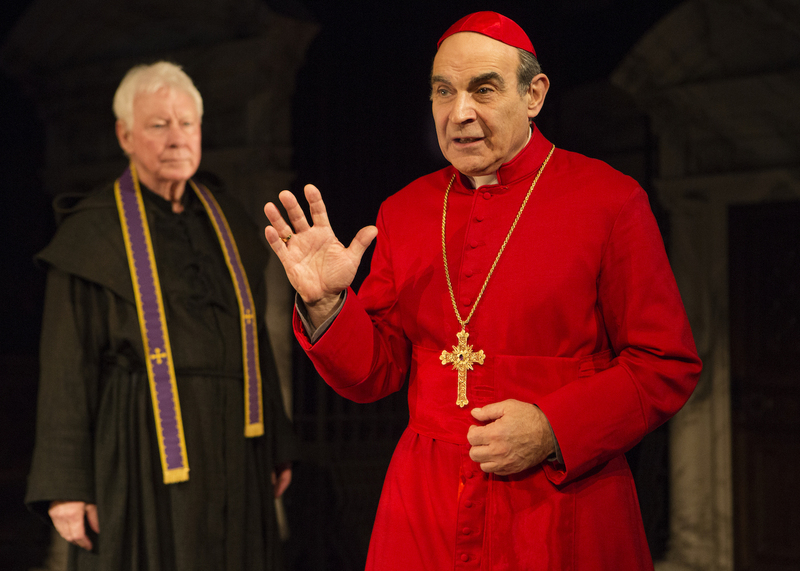 Anchored by the immaculate central performance of David Suchet, the 20-strong cast proves to be a formidably compelling ensemble, bolstered in no so small part by their countless years of stage experience. The combination of careful casting, individual acting skills, deft direction and canny writing allows the cavalcade of clergy and church hierarchy to come to life in a distinct, accessible and entertaining manner. Beginning in much the same way of Peter Shaffer’s Amadeus, a prologue sees the ailing Cardinal Benelli wishing to confess to causing a high profile death before time moves back and the main story commences. The source material for Roger Crane’s 2007 play is truly inspired, combining a high stakes murder mystery with a fascinating, inaccessible setting. Playgoers aged 45 and over will surely recall the shock the world felt when new Pope John Paul I was found dead only 33 days into his papacy. In the absence of definitive answers, the play presents a persuasive case for a deadly conspiracy in which ruthless, power-hungry church officials saw no avenue but the unthinkable action of murder. Revived for this world tour, the story has a fresh relevance given the ripples of change sparked by the humility and non-traditional, less formal practices of current pontiff Pope Francis. Dialogue scenes in act one are somewhat mired in exposition and detail, and lacking in humour, but act two finds a greater vitality as the behind-closed-doors investigation incorporates greater doses of tension and conflict. Director Jonathan Church keeps the action natural and unshowy, allowing the inbuilt drama to do its work. The use of recorded music, with melodramatic chords at key moments, creates a bit of a soapy feel, but the acting avoids this tendency entirely. Suchet is a marvel to watch. Such is his supreme confidence in his talents that he can take centre stage while avoiding the trappings of a showy star turn. A generous and considered cast mate, Suchet brings himself into close focus only when the story requires it. Moments of pathos are affecting, and moments of anger, frustration and regret are also keenly felt. The ensemble is extremely well matched in tone, expertise and focus, making highlights difficult to pinpoint. Richard O’Callaghan captures the fearless individuality of Cardinal Albino Luciani (who takes the name John Paul on his election as Pope). 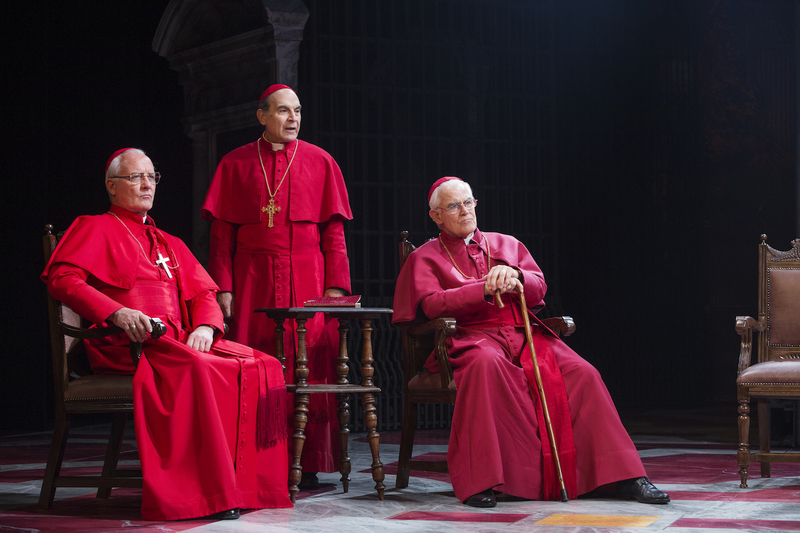 Nigel Bennett, Kevin Colson and Stuart Milligan as Cardinals Villot and Baggio and Bishop Marcinkus convey the steely terror of men who may lose everything but cannot outwardly display their true feelings. 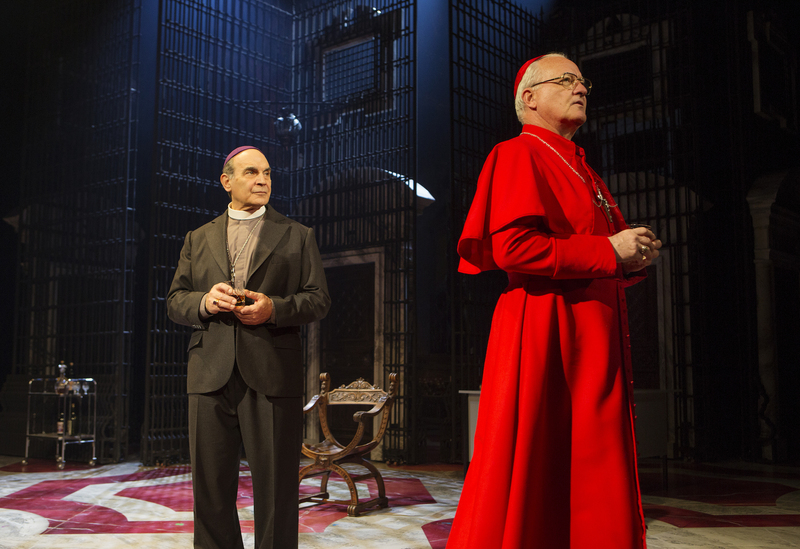 Bernard Lloyd and John O’May complement each other most effectively when Cardinals Ottaviani and Felici are clashing with Suchet’s Benneli during the investigation. William Dudley’s majestic set design features four rotating wrought iron lattice units in front of a full scale colour picture of St Peter’s Basilica. The realism of Fotini Dimou’s costumes relies on the innate theatricality of the Catholic Church in designing its vestments and designating its hierarchy. Long fascinated by programs such as Brides of Christ, and with keen focus on the upcoming long-awaited sequel Devil’s Playground, The Last Confession is a natural fit for Melbourne audiences. 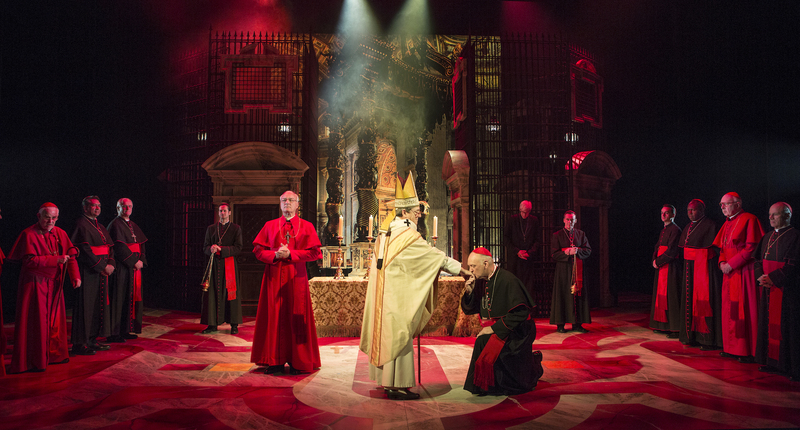 The Last Confession plays at Comedy Theatre, Melbourne, until 21 September 2014.